You may not be one, but several of my brides and grooms, as well as up-and-coming professionals (I remember the day) are curious about what I bring to the wedding? How will I be prepared? 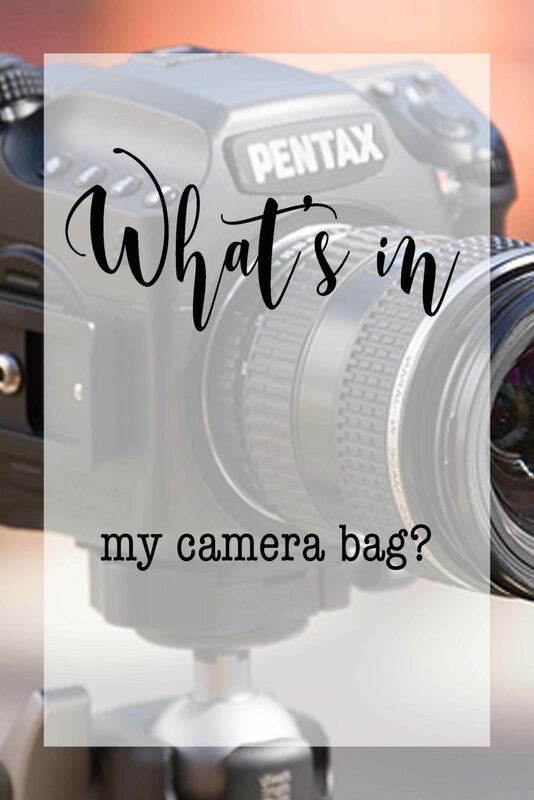 What’s in my camera bag? These are great and important questions YOU SHOULD BE ASKING to preserve the investment you are making into a quality photographer! Seriously, you’re about to plunk down several $$$ to have someone you may not know bring their iphone camera (okay, that’s a bit of an extreme hyperbole, which is by definition a hyperbole!) or other substandard equipment to capture photos from your most important day ever! Would you trust someone without knowing HOW and WHAT they DO and what they BRING to the wedding? To answer this common question I get (and honestly any good photographer should get), here is a video I prepared to help answer these questions. If you’re an amateur or a newbie to professional photography, some of the details may be a bit too technical, but I tried to keep it basic and helpful, with the intention of convincing you that I come well prepared to execute the plan for your wedding day – maybe too well planned. So, enjoy this video or keep reading below. I hope it is helpful to you. Feel free to contact me if you have any additional questions. Let’s talk about something I get asked every now and then. Whether you are a bride or groom or someone watching this video just curious kicking the tires wondering “what kind of equipment I have”, this is the perfect article for you. When shooting digital, my main go to camera is the Nikon D810. It’s a high-resolution full-frame camera. I shoot in RAW format. RAW format means that I can make all the edits and adjustments after the wedding – for example to change the saturation, hues, colors – it’s very easy to do in RAW format. By contrast, consumer-level cameras, iPhones, and smart phones will often shoot in JPEG format, limiting the degree of editing that is possible. I also shoot in Manual Mode which means I don’t use the settings or the camera’s program settings. This way I can change aperture, shutter speed, ISO, and other critical values on the fly, depending on the situation – whether we are indoors or outdoors, whether someone’s moving or standing still. My cameras come with a camera grip (holding extra batteries) which allows me to shoot in portrait or landscape. My second camera is the Nikon D800 which is also a fantastic full frame camera. I use both of them together so I might have a short lens on one camera, and a telephoto lens on the other. I’ll wear them both over my shoulders on a harness, and that way if I need a telephoto close-in kind of shot, I can use one camera and then a wide-angle with the other camera and do that on the fly. Although I’ve never dropped a camera before, I have dropped lenses and flashes but just in case anything happens to one of these two main cameras, I have a third backup camera – the Nikon D700 – another fantastic camera to use that in my camera bag. When shooting film, I bring out the guns…. A Pentax 645nii. This is a medium format film camera standard. Bigger and better capture and results than a 35mm camera, but not as bulky as Large Format or folding field cameras. The film is 6×4.5, which equates to about 2.2X1.7 inches on a roll of film. That’s a lot of surface area for the light coming in from the scene to hit the film. Compare that with a professional full-frame digital camera that only has 1.4X0.9 inch sensor. If you do that math, a 645 camera will capture 3 times as much information as a full-frame camera. Still, full-frames are excellent for professional photography, but at least now you know why using a Pentax 645nii during your wedding will create stunning and breathtaking photographs! By the way, once I develop the films, I have them professionally scanned, so in the end I not only have your film negatives, but also their digital equivalent! Film is King. Hire a photographer that shoots digital and film! As far as flashes go, it’s important to know that photography contains the expression “photo” which means “light” or “photons of light”. So a camera sensor will see the photos in a lit area and collect the information to see the colors and what the picture is all about. Simply, photography needs light (ever taken a picture in the dark? It doesn’t work!). Obviously, the best kind of “Light and Airy”, soft, natural looking images can take place during natural daytime light which is properly diffused (you want to avoid shadows or harsh light which creates unflattering lines and squinting!). I love to take Natural Light photography, ambient light photography – those create beautiful, creamy kind of photos which are very flattering. During the reception when it gets dark, or in the church for example, anytime they turn down the lights (e.g., for the ambience when everyone’s dancing), I need to use additional light at times to help me out. I use remote and wireless flashe like the granddaddy of all – the Speedlight Nikon SB 910. It is a great programmable flash. I use that with a Gary Fong diffuser. I found that this diffuses light nicely. I usually bounce the light on the ceiling or adjacent walls. I bring two additional flashes as I’m able to use these flashes with my Pocket Wizard Wireless transmitters and receivers. Transmitters and receivers allow me to set up the flash on camera – although I can put the flash on the camera I prefer at times to set it up in the different corners of a room. If necessary, I’ll bring out my Einstein 640 strobe whenever a room is particularly dark. I’ll put it on a 10-foot tripod with a receiver. As far as lenses go, if equipment is considered important in photography, then lenses are “king”. In my industry, they call it “glass”. Everything passes through the lens so you must have good lenses not just any old cheap lenses. It’s got to be the best of the best to get the best picture! My telephoto lens is a 70-200mm Nikon lens. It lets me zoom in from a distance. I used it heavily during the ceremony especially if the officiant tells me not to come very close to the front and I’m able to take pictures from far away. I also use it during the reception during the first dance or father daughter dance. I’m able to stay away and give the dancing couple their intimate moments without being very distracting so this lets me do that during the reception or when the guests are talking and laughing and standing and holding a glass of wine. I’m able to voyeuristically take pictures of them candidly and photo-journalistically. If I come really close to my subjects with a smaller lens they’re going to look at the camera, they’re going to look at me, and the resulting image will not be very candid. But if I’m standing far away, I’m able to do a “sniper shot” and they don’t even know that I’m taking a photo – which makes for great pictures! I also have a 24-70 Nikon lens. It’s very versatile and lets me capture the bride coming down the aisle. I’m able to zoom in from the front of the church because she’s far away and then zoom back out as she approaches the front. It gives me a wide-angle and is very flexible kind of lens. One of my absolutely favorite lenses is the 85mm Nikon. This lense create very soft, creamy images. I use it primarily for portraits. I also have a macro lens this macro lens he lets me take pictures and super close-ups of details such as the wedding rings and invitation cards. I also carry a super wide-angle 8mm lens. This is a lens that lets me take a picture literally 180 degrees from left to right. It sees everything and creates some really cool photographs. Another prime lens I use is the 50 mm 1.4 Nikon. This is a “fast” lens and can take great portraits and perform really well in dark situations. I bring a bunch of filters that scale down the amount of light if it’s too bright. If I want to create some artistic colors or effects in my images, I’ll use these filters which attach right on top of the lens.